Wouldn’t it be nice if we never forgot anything we ever learned? But that’s not how it works in real life, is it? Even after years of learning and speaking another language, you can end up feeling you’ve forgotten all and lost every single word you’ve learnt. Life just does what it always does and gets in the way. Losing touch with your once loved foreign language doesn’t happen overnight but once the realisation sets in, it might as well feel like it happened in just a blink of an eye. Don’t be too sad about it because there’s hope. A lot will be still there. We just have to dig it out. I teach German in Australia and I’ve helped many students successfully reacquire their previous German knowledge. Find some inspiration here if you feel like getting back on track (and keeping your regained knowledge). I’m going to talk about a load of useful (online) resources as well! The first thing you want to do is get the feel for thinking in another language again. You could do that by just reading a (simple text) in German, by listening to a song in German, by watching a movie in German or by listening to German podcasts (links further down). Don’t think about it too much, just surround yourself with German. It doesn’t matter what you read, watch or listen to, just prime your brain for what’s coming up and enjoy the adrenaline shooting through your body when everything gets rewired in your mind. Once you’re hooked up again and have realised how much you’ve lost, cried about (but forgiven yourself) and maybe even skimmed over old exercises, you probably have an idea of where you stand and how much knowledge you have retained. Now it’s time to get a little more serious about reconnecting with your old friend. You want to find some new and old ways to practise your German. I found that a mix of grammar exercises, easy reading, watching and listening has best helped my students dig out their long lost German. Mark your new beginning with a shiny notebook or a new Evernote entry for your comments in German. Don’t be afraid to find new ways to learn. Knowing vocabulary will help you immensely with conversing in a language and German is no exception. 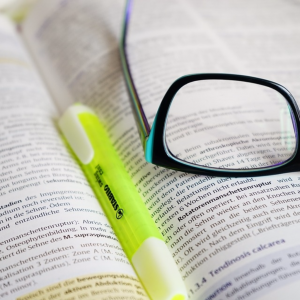 Learn new words from a physical dictionary, with words organised by topics. Use premade vocab courses on Memrise like The Most Common 5000 Words in the German Language. Create your own vocab lists online on Memrise, Quizlet or Anki. Create your own vocab lists on physical flashcards. Write down new words you come across (don’t forget to add an example sentence if you can). Use the inbuilt dictionary function on Kindle or Overdrive app to look up words you don’t know. There are many websites, apps and books out there waiting for you to use. Don’t be afraid to experiment a little because it’s always good to mix things up to keep it exciting. Mark Twain studied German grammar intensively and for a good reason. Since you’ve learnt German before, you already know what important part grammar plays in terms of speaking it fluently. 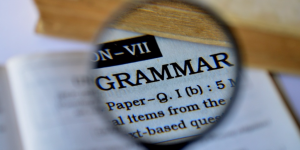 You should review the most important grammar topics. I recommend you get some guidance, so you don’t drown in unorganised grammar exercises. When starting out, guidance can be given by a group class, a private teacher, an easy (!) grammar book or online videos. Michael from smarterSmarter German has put together a well-known video resource that breaks down difficult grammar topics into something that actually makes sense. If you’re not too traumatised by drill exercises (you really shouldn’t be), get one of those awesome books you can scribble in a lot like German Grammar Drills. No matter where your heart lies, start at the beginner level first and go from there. Go over the explanations and exercises and skip forward if you still know all about it and have made up some sentences using the structures. You’ll reawaken your German knowledge, class by class, page by page, video by video. And you’ll be learning faster than ever before. 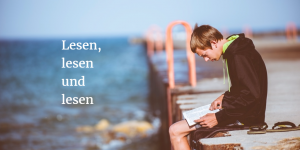 ‘Lesen, lesen und lesen’ meaning ‘reading, reading and reading’. I know reading is not everyone’s best friend, but it’s one of my favourite methods when it comes to language learning. Reading gives you time to assess word order, vocabulary and sentence structure. To find light reading material (don’t go too heavy on yourself at first), you could google Leichtes Deutsch to find some easy texts in German. There’s also a ton of books in German made available online and for free through the Gutenberg project. You can also find a ton of affordable books in German made for learners on Amazon. You can’t spend your entire day drilling yourself in German grammar, so please don’t forget to add some lighter learning to the mix. Any movie, short film or video in German will go a long way. But where to find them? 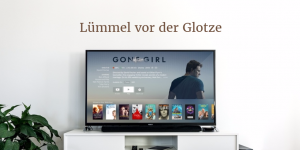 ‘Lümmel vor der Glotze’ translates to ‘Veg out in front of the TV’. German TV channels. You could check what’s available for free on websites of German TV channels (ARD, ZDF, RTL, Pro7, etc.) as they upload many shows and movies online. You can be sure that a lot of productions in English will be dubbed into German for the German market, so you could rewatch your favourite movie with everyone chatting away in German. German soap operas. Apart from the on demand options I just told you about, I want to mention two soap operas in particular, the longest running shows on German television: Lindenstraße and Gute Zeiten, Schlechte Zeiten. Even if you’re not into English soap operas, I urge to give these two a try, you might be surprised how addictive they can be in your target language. You’ll learn about how Germans live as well. Youtube. There are a lot of videos in German on Youtube, on any topic you can think of. If you have problems understanding the mumbling Germans, check out Fluentu. They provide subtitles for youtube videos and saves new words for you. Deutsche Welle. If you’re up for subtitles I can also recommend the Deutschlandlabor series of Deutsche Welle. It’s a new ish series on the Germans that goes over questions like do all Germans drink beer instead of water? It’s set around the A1 level and they also provide you with some useful exercises on the vocabulary and grammar that’s been used. 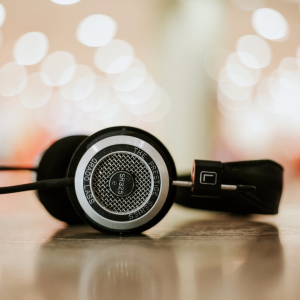 If you only want to listen not watch, have you tried listening to podcasts? Podcasts are a perfect way to immerse yourself in the world of German, especially if you loved listening to podcasts before your big break up with German. Either jump back into the ones you couldn’t get enough of or have a look around. You might stumble across new and exciting ones that you didn’t know existed. For example the Coffee Break team has added a German version to their repertoire. Or you could just see which German speaking radio station offers interesting insights into traveling, cooking or soccer, reported from a German point of view (there’s an app for that). Since you’re at it, those radio stations might even play some German music that you like. There’s more to discover than just Nena and Rammstein (which are certainly German classics). Audiobooks are also a good way to immerse yourself in German while doing other important things. 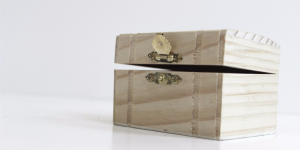 It’s worth checking it out in person or online, as you might strike gold there. Listening to German is a big part of what’s coming up next: actually speaking German again (yay). 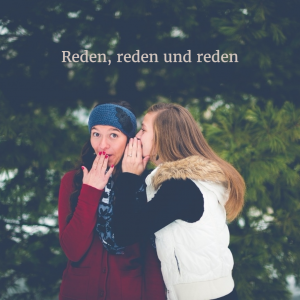 ‘Reden, reden und reden’ means ‘Speaking, speaking and speaking’. You should totally give actually speaking German a try. If you’ve been fluent before, I’m sure you’ll have an idea of how you can get back into speaking it. Start with thinking in German. Make up sentences when you’re having a shower in the morning, brushing your teeth, getting dressed, having breakfast, riding or driving to work. Have a chat with your self in German. Say your thoughts aloud. Thinking in German is the first step to speaking German. Say the sentences out loud. Make your vocal cord vibrate and get your tongue around those words and bring them to your lips. That’s all you need to do, physically. Let your brain do the rest, let it put the words together in that funny word order that you got used before. Don’t forget to start with simple sentences at first and then go from there. If you’re not quite sure what you should talk about, get out a text in German and tell yourself about what happens in the text. By now you should have regained your ear for the beautiful German language. Now that we’re back on track, how about you keep your knowledge? Maintaining your German proficiency is easier thant you might think, especially when you make German part of your daily routine. It’s possible to surround yourself with German, even if you don’t live in a German-speaking country or can’t devote much time to the actual learning process. Read about things that interest you in German (instead of in your native tongue). Listen to a German radio station since you’re going to switch it on anyway. Change the language of your browser into German on your computer. Change the language of your entire phone into German. 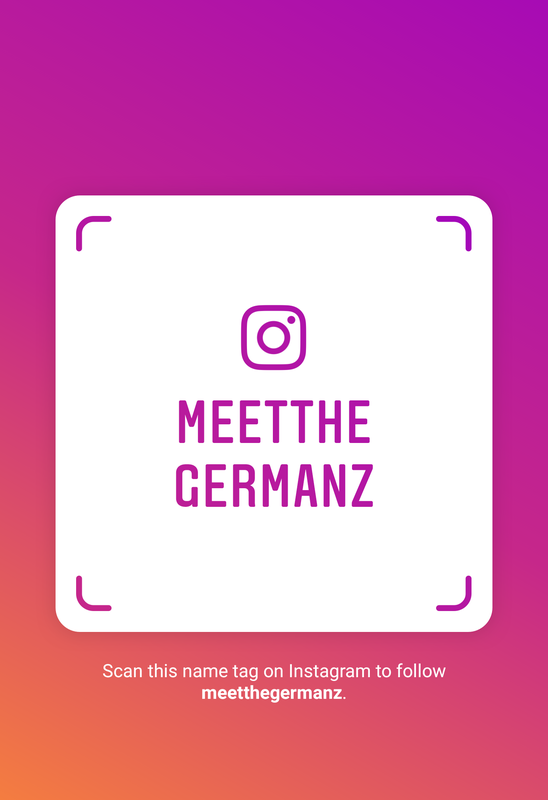 Go to German meetups in your area when you feel like socialising. Read about the news in German. As you see, the bottom line here is to make German part of your life. Try to substitute things you do in your native tongue with activities in German. Getting back into German is easier than it may seem. 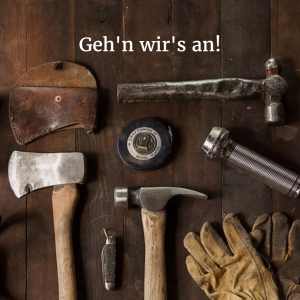 Roll up your sleeves and read a short summary of what you can do to regain your fluency in German. Off you go! Get excited again about German. Start low and build up your knowledge. Be open for new ways to learn German. Work on your grammar and improve your vocabulary. Read in German, listen to German and speak German. Make German part of your daily routine. Have fun getting back into German! I’m really excited for you. Let me know about your favourite ways to regain your knowledge in the comments. 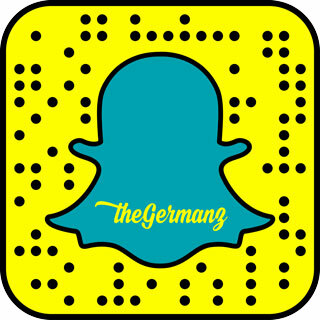 If you want to read more about the German language and culture, make sure to check out my blog on The Germanz! Bis bald! Thank you Crystal. So happy you like the post 😀 Danke schön! Always soooo enjoyable to read this blog. I would recommend it even for that advanced English language learner for its rich use of idioms and colloquial style making the read so attractive. I have to confess I always learn something new in English reading these posts, even though it’s about German. Recently I had the chance to visit my beloved Germany for the first time ever: Düsseldorf and Köln. As expected, it was love at first sight by the Rhine, the materialisation of a Platonic love. I’m famous among my gang here in Finland for buying Lidl’s Brezel everytime I visit the German supermarket, or even making express visits to Lidl just for Brezel. But after trying the mouthwatering Brezel baked in Germany itself, I’m not quite sure I’ll be able to keep up with the tradition. Before the trip, I was in the exact situation the post describes, except I have never been fluent, yet I have(had) some knowledge after studying three years German at a language school. I felt it forgotten, so to brush it up, I re-watched the “Extra” series for learning German available on Youtube. It was quite helpful and reassuring to find out how much I remembered after some not-that-deep dig-out. Once in the “battle” ground, I (mis)used German as much as I could. And in spite of my (vast) language imperfections, I was able to communicate and get things done, at least in basic touristic situations. The most pleasant surprise was the amount to which I could understand written German, even in specialised texts such as explanation boards on museums and churches about architecture and history. In (my also beloved) Finland, I feel like an illiterate for my inability to understand the surrounding information in public places, shops, etc. Germany felt like a paradise where I recovered my ability to read. It took my memory back to that super exciting moment as a first-grader when I was given that badge I still keep as a treasure reading: “I now know how to read”. My summer holidays compass is unmistakably pointing to Germany again, this time to Berlin and Hamburg, meaning the digging-out, brushing-up process will have to continue. Thanks, Anja, for your motivating and resourceful posts. Until next time here in Matrix!